When it comes to Pittsburgh, there may be no legacy more defining than that of our professional sports. The people of Pittsburgh beam with pride for our Penguins, Pirates and Steelers who have delivered 14 combined championships and countless unforgettable memories. 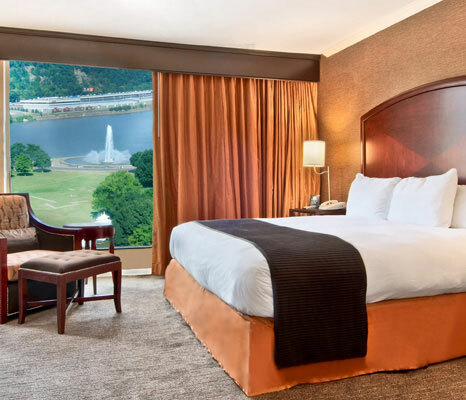 With its ideal location in the heart of downtown, the Wyndham Grand Pittsburgh Downtown hotel near Heinz Field, PNC Park, and CONSOL Energy Center puts you within walking distance of all three of our major stadiums and makes for the perfect center of operations for any casual or fervent fan. 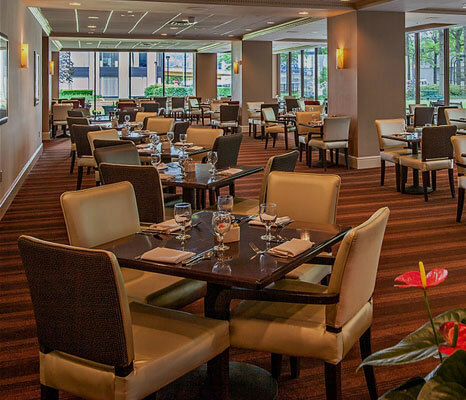 In addition to professional sports, you’ll be just a short drive from the University of Pittsburgh campus where you can cheer on our mighty Panthers. Grab your terrible towel and head for Heinz Field, home of the six-time champion Pittsburgh Steelers. This spectacular open-air venue holds more than 65,000 fans and is an easy walk from the hotel. There’s nothing like taking in a baseball game at PNC Park, home of the Pittsburgh Pirates. Take a short walk to the ballpark from the hotel, or take advantage of our complimentary shuttle service that will drop you off right at the gates. Home of the fighting Pittsburgh Penguins hockey team, CONSOL Energy Center welcomes up to 18,000 Penguins faithful in its Uptown venue from October through May. CONSOL also hosts a variety of concerts and special events throughout the year, so be sure to check the event calendar. 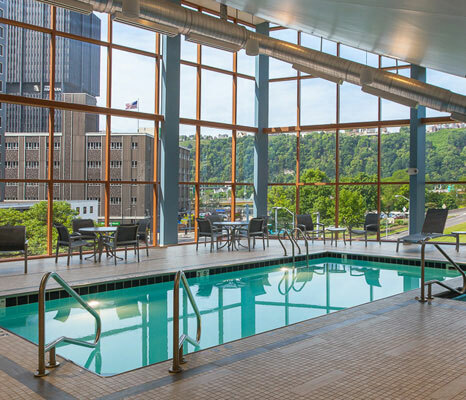 All images copyrighted by Wyndham Grand Pittsburgh Downtown. Downloading images is prohibited.